Neil and I jolted awake. “Is someone out there trying to talk to us?” I sputtered. “What time is it?” Neil grunted. “Not quite seven…” I groaned. We stumbled out of bed, pulled on semi-decent attire, and clamored through the cabin, rolling with the boat and balancing ourselves as we made our way above deck. 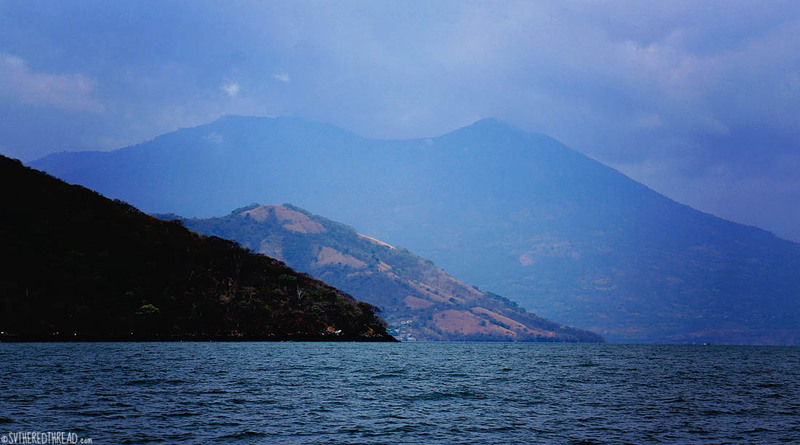 Being startled awake by the voice of the El Salvadoran Navy booming over a loud speaker was a tidbit aggravating, especially after a 46-hour passage had concluded just five hours earlier. We could hardly blame the officials, however. A foreign boat had slinked into their waters during the middle of the night. They were justified in showing up early to check our documents and to investigate our intentions. Bleary-eyed, I fumbled through our papers, while Neil practiced his Spanglish and tried his best to respond to the officials’ questions. Passports. Check. USCG document. Check. What else do we need? Brain foggy. Zarpe from Costa Rica. Check. I slid the documents into a sheet protector. The Navy swift boat motored alongside starboard, and we passed our documents across the divide. The waves were too tumultuous to raft our boats together. 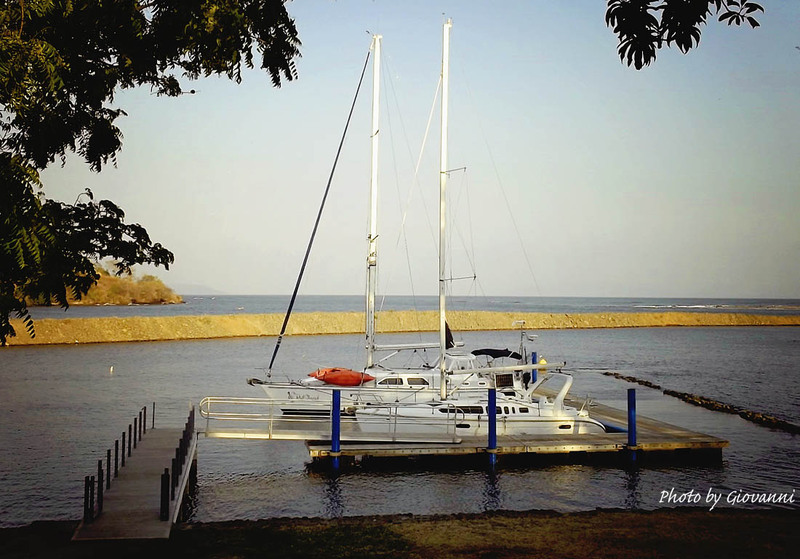 The challenges of the next few days had really begun before we left Costa Rica when during a few minutes of decently quick WIFI, I had gone on a googling spree and had found the website for a new marina, Velazul, located just inside the northern hook of the Golfo de Fonseca. The facility hadn’t been described in any of our guidebooks, but a photo showed a modest but attractive floating dock with a sailboat tied to it. I sold the location to Neil as an ideal spot to leave The Red Thread for an inland excursion. 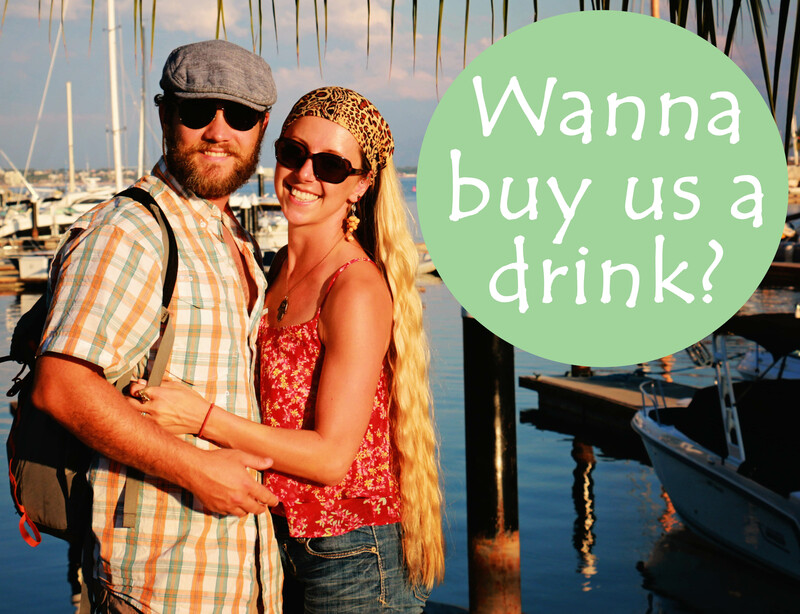 We were craving some time off the boat, away from our to-do list and closer to heralded sites within the CA-4. 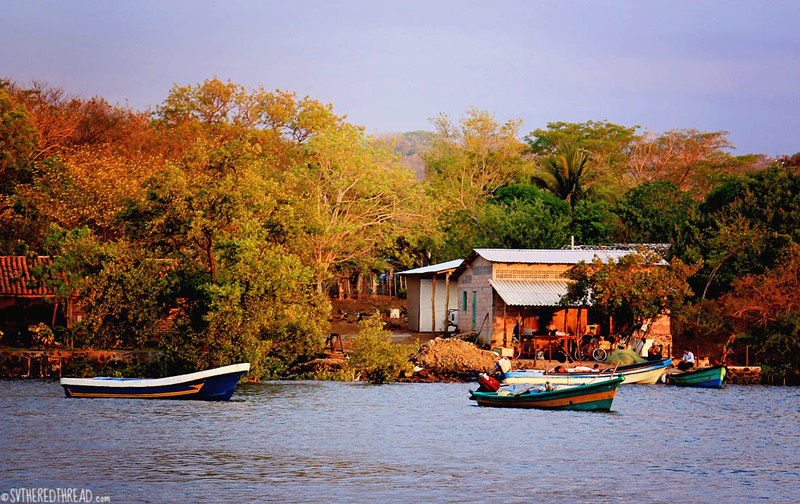 The marina nearest to the Golfo de Fonseca is Puerto Barillas (Jiquilisco, ES), some 45 nautical miles (i.e., a full daysail) north. 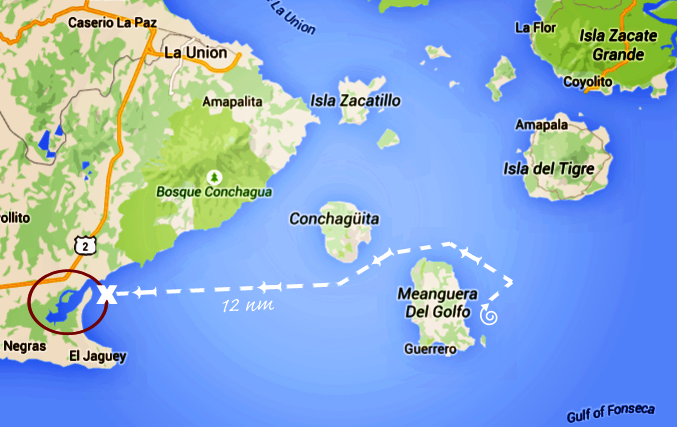 If we could secure our boat in the Golfo de Fonseca, rather than covering more ground we’d already sailed once when we came south, we’d happily do that instead. 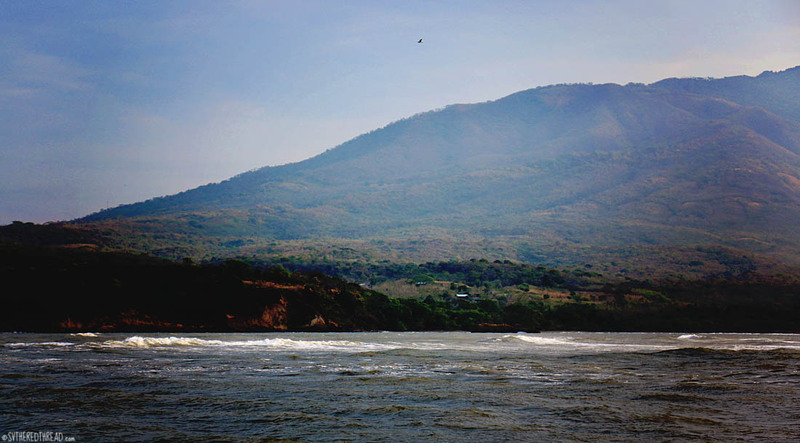 Giovanni proposed that we anchor outside the Tamarindo estuary, where he would meet us and guide us through the perilous entrance. 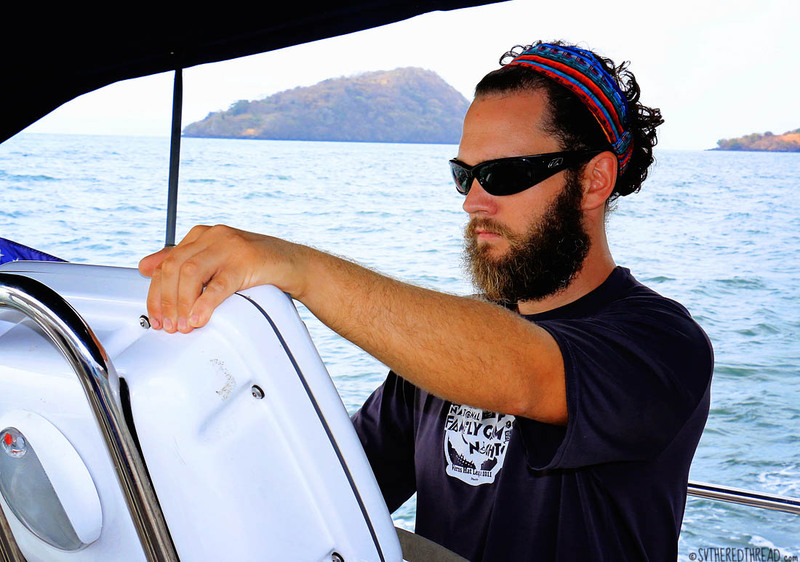 The following day, we motored 12 nautical miles across the bay and anchored in wait. A small boat blazed out to meet us. With Giovanni were Hervin, a well-respected fisherman who leads a fleet of pangas, and Melben, a young man juggling work and college, with aspirations for a career in port management. They shared that we were the third boat ever to enter the estuary. Ever. Literally. The local pangueros could navigate the shifting sandbars blindfolded, but transient boats wouldn’t stand a chance without their guidance. Giovanni’s boat was moored in the estuary, and some of his friends had visited in their boat last year. Beyond that, we were it. We weren’t sure whether to feel honored or anxious. With Hervin and Melben directing us, we surfed the sandbar successfully! Our keel cleared the shallowest depths with less than two feet to spare. A sense of triumphant relief washed over us when the waters deepened as reached the shelter of the estuary. Melben stayed aboard with a soda and a Toblerone bar to tend our anchored boat in the swift currents of the estuary, while we dinghied into the marina to examine the docks. The tide was high and the single pier with two fingers appeared well-constructed and sturdy. We agreed to bring our boat in and tie up next to Giovanni’s sloop. That night, Giovanni popped a bottle of champagne in celebration! Giovanni has a lovely vision that we hope will become a reality in a few years’ time. 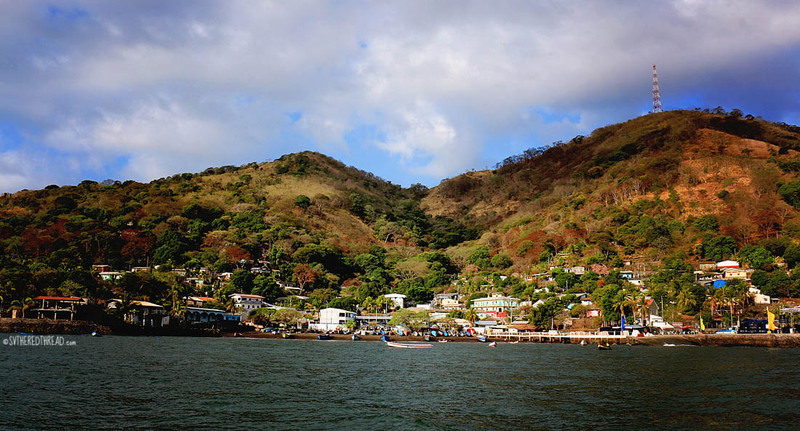 In addition to a marina that will house a small sportfishing fleet and welcome cruisers, he has plans to build a modest boardwalk along the estuary, a park area and pool, and several architecturally modern bungalows where cruisers or their visitors can enjoy a hiatus from ocean-going life. One of the bungalows has been built already, and the design is truly stunning, with extravagant windows and wraparound balconies. That said, Marina Velazul has a long ways to go to be ready to accept guests in the future. Dark fell and as luck would have it, the tide shifts were the most extreme in 30 years. 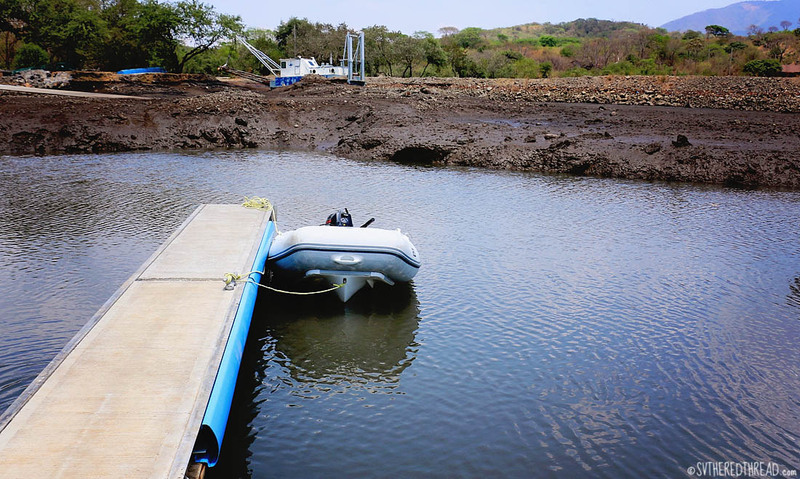 When the tide reached its lowest point, we no longer experienced the gentle sway of the water cradling our boat. 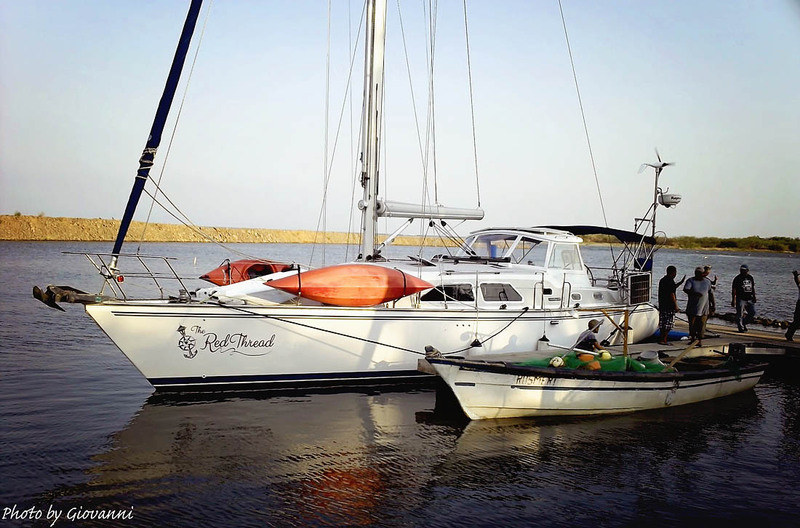 Our shoal draft sailboat—less than 5.5 feet—was no longer afloat. We stared at our instruments waiting for the peak low tide to pass, wondering what havoc our decision was wreaking on the underside of our beloved home. We were nauseated with aggravation, fear, and embarrassment at our predicament. Ultimately, we couldn’t blame anyone but ourselves for the situation we found ourselves in that night. We had accepted the risk of taking our boat into an unfinished marina on a night when the pull of the moon was extreme. We marched along The Red Thread’s port side, boat hook in hand, taking depth soundings around our boat. 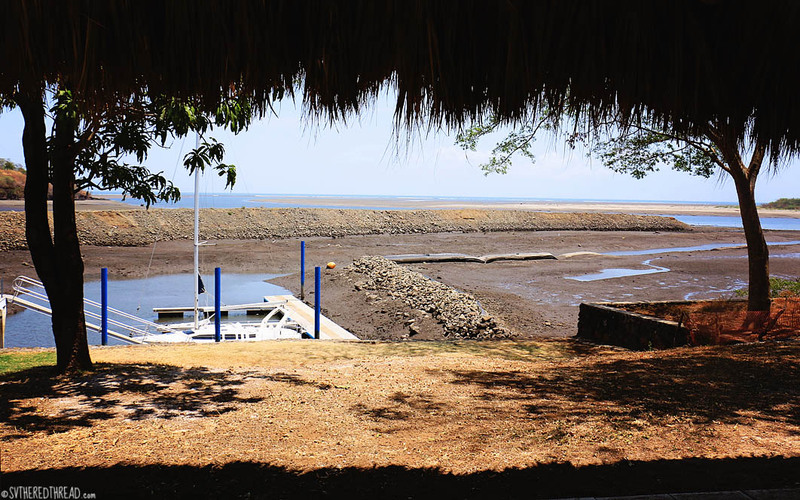 The unusually low tides revealed the gravity of the work still ahead for the Marina Velazul. With the aid of spotlight, we stared across an unevenly dredged mud flat. What had we done? We were short with each other, worried about our home, and staring at half-packed backpacks that would be doing anything but going inland the next morning. 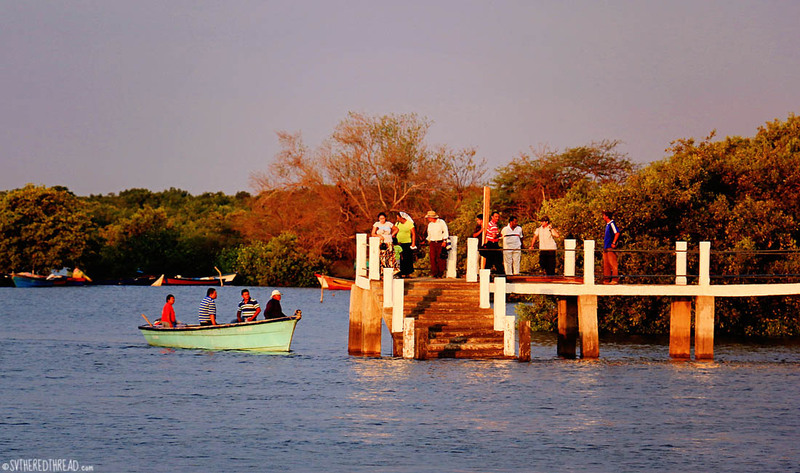 We motored into 19-feet of water and dropped our anchor in front of Hervin’s house, a safe spot for our boat. After some coffee and time to reflect on the situation, we were in a better emotional state. Boats run aground, right? And most still survive. Right? Our boat had just snuggled down in some mud. No acute impact. No forceful waves to grate her against a jagged sea bottom. We felt regretful, but she’d be fine. And so would we. Later that morning, Giovanni drove us the 20 minutes to La Union, where he took us to visit his favorite coffee shop and paraded us to Migracíon, where we officially cleared into El Salvador. We spent the afternoon relaxing beneath a palapa with Hervin, Melben, and other local men. Our conversation bore a striking resemblance to a game of charades, as we made hand gestures and did our best to share stories that bridged our language gap. Our first couple days in El Salvador had been a bit rough, but we enjoyed a wonderful afternoon, one that would not have been possible had we not made the choice we had the day prior. There’s always a silver lining; if only you take the time to see it. If we sail this stretch of coast in the future, we’ll look forward to seeing Giovanni and his crew again and will happily return to Marina Velazul if construction is complete. 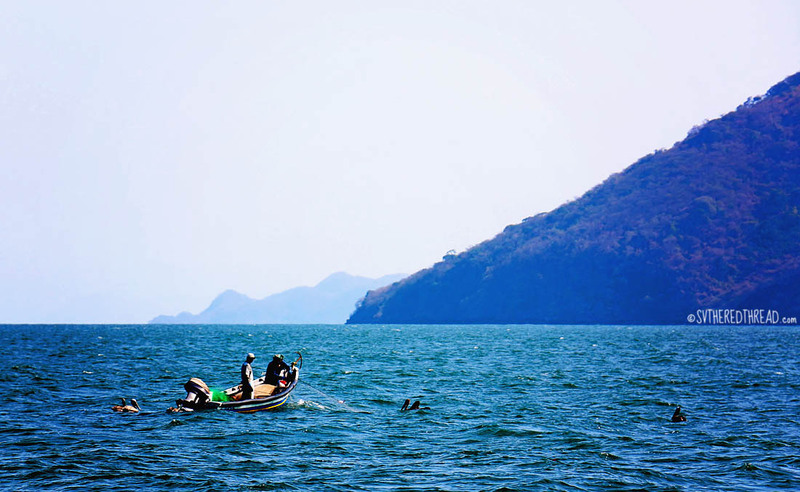 This entry was posted in By Jessie, Central America, El Salvador, South Pacific Stitch and tagged Isla Meanguera, Marina Velazul, Tamarindo Estuary. Bookmark the permalink. Wow! What an experience! Perhaps we’ll get to stop by when we are in that area. But I think I’ll give the marina a miss. That’s a dramatic photo you took of the mud! Hope he gets that problem solved.